Joplin, MO – Jack Hillam Sneddon, age 96, passed away on June 28, 2018 at his home in Joplin, Missouri. Jack was born to Louis Ivan Sneddon and Josephine May Wareing Hillam in Salt Lake City, Utah on January 19, 1922. Jack graduated from Utah State University with a Bachelor of Science in Engineering in 1943. As a senior, he taught students from the Navy and Marines at the Utah State University Naval Radio School. During World War II, Jack served in the Signal Corps in the Pacific Theater. He was involved in battles in Ie Shima and Okinawa. Jack was part of the occupation forces in Japan after the war ended and helped rebuild the communications infrastructure of the country. After returning home, Jack worked for nine years in radio and television broadcast engineering. He later spent 30 years with Western Electric/AT&T as a guided missile field engineer in Illinois, South Dakota, and Missouri. He later transferred to the Western Electric plant in Lee’s Summit, Missouri where he was a Product Engineer on the semiconductor lines. 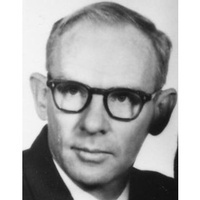 Jack retired in 1985 as a senior engineer at Western Electric. Jack was always physically fit and enjoyed skiing, fishing, biking, and running. In 1984, he took part in the Olympic Torch Run in the Kansas City area. He was an active member of The Church of Jesus Christ of Latter-day Saints, serving in many capacities. Jack married Wilma Faye Norris, October 8, 1946 in Rock Springs, WY. Their marriage was solemnized for time and eternity on November 18, 1946 in the Salt Lake LDS Temple. Jack and Wilma have six children, 24 grandchildren, and 42 great-grandchildren. He is survived by his wife, Wilma, and his children: Louis Sneddon (Victoria) of Pearland, TX, Duane Sneddon (Shirley) of Peoria, AZ, Dale Sneddon (Jeanne) of Carthage, MO, Janet Green (Randy) of Chillicothe, OH, Scott Sneddon (Nancy) of Billings, MT, and Jay Sneddon (Gina) of St. George, UT; his brother, Roy Sneddon (Kathleen) of Providence, UT; and sister, Bonnie Smith of El Paso, TX. Jack was preceded in death by two brothers, Teddy and Robert Sneddon, and a great-granddaughter, Emily Wright. Visitation will be held Friday, July 6, 2018, from 6 to 7:30 pm at the Parker Mortuary, 1502 S. Joplin Avenue, Joplin, Missouri. Funeral services will be held Saturday, July 7, 2018 at The Church of Jesus Christ of Latter-day Saints, 2107 S. Indiana, Joplin, Missouri, beginning at 10:00 am with a viewing prior from 9:00 to 9:30 a.m. Interment will take place at Ozark Memorial Park, 415 N. St. Louis, Joplin, Missouri.